Virgin Holidays CRM executive, Liam Savage, told CMO the UK-based holiday retailer had been looking for ways to humanise digital campaigns and lift brand engagement with customers in the inspiration and pre-departure phases of travel. Earlier in 2018, and off the back of a multi-year program building a data-driven single customer view, the group launched a ‘ready-to-travel’ communications program aimed at keeping customers informed across the journey lifecycle. The work saw the marketing team introduce a suite of communication-based emails. “The question was then how you up your game around that journey. That’s where AR came in,” Savage said. “Core values of the Virgin Brand include leading with our hearts as well as our heads and winning the heart of our customers. We also have a ‘why not’ mentality as a business and empower all staff with the courage to challenge conventions. We also seek to deliver a ‘wow’ factor and drive change in the sector. Not surprisingly then, Virgin Holidays leapt on the opportunity to become Movable Ink’s offered first client to use browser-based AR within its customer communications. The two companies have worked together for about three years. Virgin Holidays’ first campaign was ‘Future forecast’, targeting customers at the pre-departure phase. 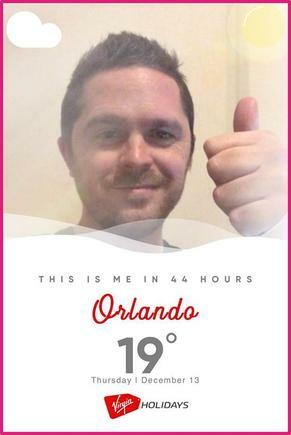 Using AR, customers could take a selfie of themselves in their forthcoming destination, featuring the weather forecast and their name. Selfies could then be shared on social media channels, with the technology natively integrated with Facebook and WhatsApp. To do this, the technology takes note of whether a user is on a desktop or mobile device, and provides a QR code or direct call to action where they can take an AR selfie. Virgin Holidays used three customer data variables to deliver personalisation: Name, departure date and destination. Savage cited two main drivers: Increase anticipation of the trip, and decrease anxiety. “We’ve done a lot of research on how stressful holidays can be, especially when you invest a lot of time to finding out where you want to go. We needed to interact in a way that’s fun, on brand and maintains engagement,” Savage explained. 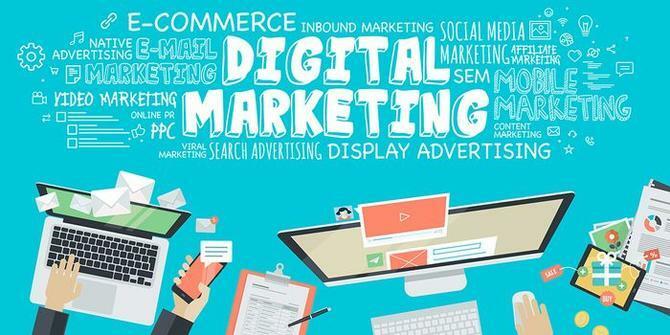 The campaign chalked up an 80 per cent uplift in reach and 25 per cent higher clickthrough rate. Nearly two-thirds of users took a selfie, and 44 per cent engaged for at least 1 minute. Based on its success, Virgin Holidays launched the ‘Wish you were here’ campaign and ‘refer a friend’ competition, this time targeting customers in the inspiration phase. Customers can take an AR selfie of themselves in one of five seaside-style cut-outs, reminiscent of old-fashioned British seaside holidays, and upload on social in order to go into the running for hefty discounts on travel. “This allows customers to dream and lift holiday escapism. It’s taking away from pricing, and making it fun and shareable,” Savage said. The results included a 45 per cent engagement uplift, and an equal number of consumers engaging for at least 1 minute. Again, 65 per cent took a selfie and 30 per cent shared these on social media. Movable Ink co-founder and CTO, Michael Nutt, said while there’s a lot of interesting stuff happening around AR in native mobile apps, the digital marketing software company saw the opportunity to gain more reach through a browser-based technology. Off the back of the custom work with Virgin, the group has integrated a number of new features into its platform, including a drag-and-drop visual editor clients set up themselves. In addition, while Virgin boasted of a lot of customer data internally to craft a personalised message, Nutt said the technology could be used by brands that know very little about their customers to engage and build up insight. “Then the communications and engagement can be improved by adding in things and custom variables you learn about customers, and what they do or don’t like,” he added. Read more: ASMR: Flash in the marketing pan, or something more?